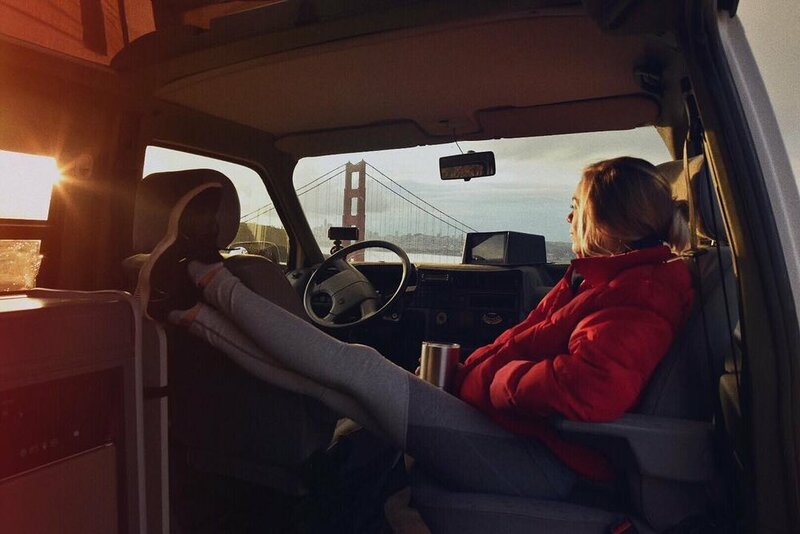 The Marin Mountaineer, a sweet Eurovan Camper, is located in Tiburon, just north of San Francisco. That means you’ll get to cross the iconic Golden Gate Bridge on your way to pick it up. Right after Luke and Willa picked up the Marin Mountaineer they headed for the Marin Headlands, part of the Golden Gate National Recreation Area, so they could watch the sun rise over San Francisco. 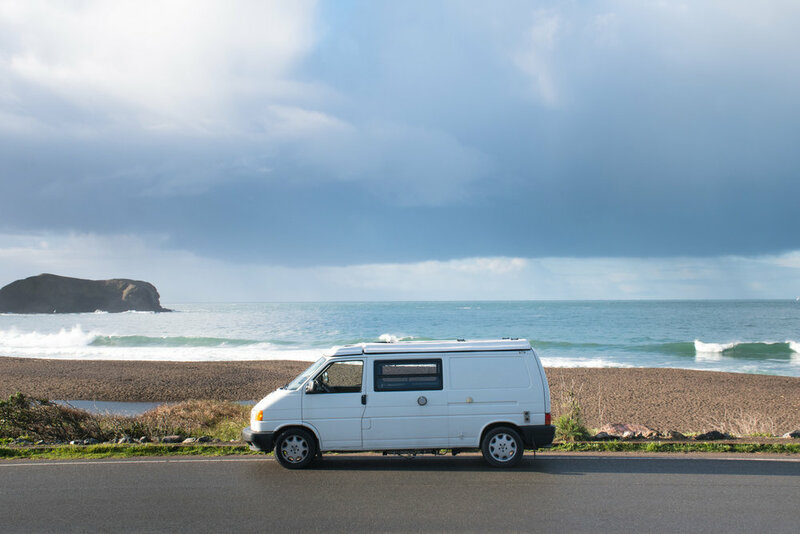 From there they stopped by a favorite surf spot at Fort Cronkite before meandering up Highway 1. 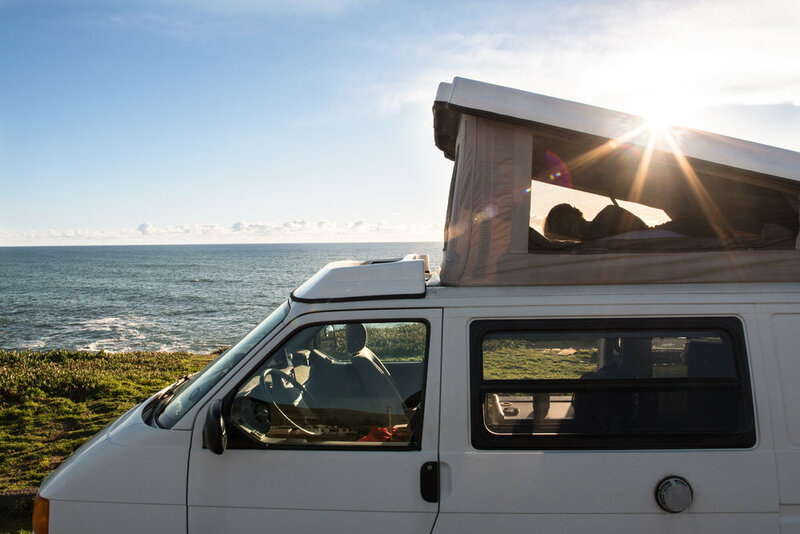 Luke and Willa’s route took them over Mount Tamalpais, through Stinson Beach, and along the coast to Wright's Beach, where they nabbed a campsite right on the beach (even without a reservation!). The next day, Luke and Willa headed back down the coast to Point Reyes, a protected National Seashore that has amazing views and limitless places to explore. Pressed for time, they then headed home, but if you can add one more day to your adventure in the Marin Mountaineer, Luke suggests you linger in Point Reyes, explore the lighthouse, and consider stopping in at Nicks Cove, a little seafood restaurant on Tomales Bay that has great lobster rolls. Head here to read more about Luke and Willa's trip in the Marin Mountaineer. Repeat their itinerary (it's a good one! ), or plan your own. To reserve Marin Mountaineer, simply click here or the Reserve Now link above.